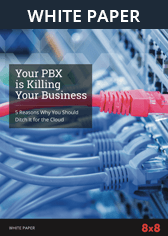 Reliable Cloud Communications Solutions | 8x8, Inc.
8x8 employs extensive measures to ensure high availability, business continuity and disaster recovery for the communications at the heart of your operations. That’s how 8x8 delivers an average core call flow processing uptime of 99.9999%. 8x8 communications are designed with built-in redundancy and no single point of failure. Our highly secure, top-tier data centres are located in geographically dispersed sites across the globe. These data centres are SSAE 16 audited and provide automatic and transparent failover to prevent disruptions in service. Because they’re hosted in the cloud, 8x8 communications offer substantial business continuity and disaster recovery protections. Using a web browser or mobile app, it’s easy to remotely reroute communications from locations experiencing problems to unaffected offices or remote workers anywhere in the world. Many of our customers have kept doing business despite hurricanes, floods and other disasters because of 8x8’s flexibility. 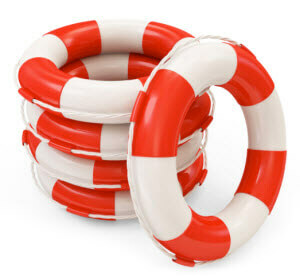 "One of the primary reasons we chose the 8x8 solution was the built-in disaster recovery capabilities it offered. 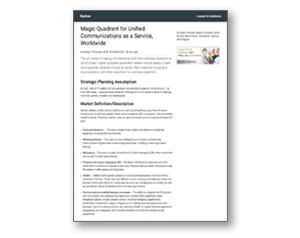 There is no longer one single point of failure in our phone system, because the 8x8 service architecture offers multiple redundancy and rerouting capabilities."